Why have a boomwhacker conference ice breaker? The Boomwhacker Conference Ice Breaker is the ultimate team building activity for conferences and large corporate gatherings. It is the perfect activity to kick off the day; wake people up after lunch; or provide a unique closing event. The Boomwhacker Ice Breaker brings everybody together in a collaborative rhythm within minutes! This post explains in detail how the session works and some reasons to hold it at your next conference. What are Boomwhackers? 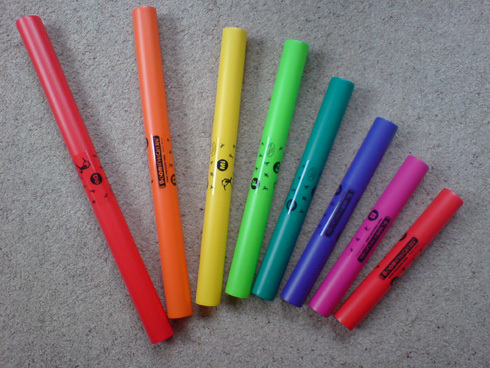 Boomwhackers are coloured tubes that create different harmonic tones when played. They can either be tapped against one’s hand or two can be clashed to together. Each colour creates a musical tone based on the Pentatonic scale - ‘C’, ‘D’, ‘E’ , ‘G’ and ‘A’. Harmonics are created as each colour from the range enhances the overall sound, while complex rhythm arrangements are made easy because the variations in tones allow participants to identify the part they are playing and how it contributes to the total effect of the music. Reasons to have a Boomwhacker Ice Breaker at your conference? It provides fun and creativity to recharge minds The activity offers fun, creativity and interaction to allow everyone to recharge themselves in between speakers’ slots. Such an activity creates a more relaxed and positive atmosphere in the room which in effect increases the level of group engagement throughout the conference. It demonstrates the power of team cooperation During the activity, the entire audience is divided into small teams who contribute individual rhythms to one complete sound. The success of the activity is measured by each team’s ability to listen and focus on the entire collective sound as they play – not just their individual part. Hence the activity offers a great demonstration in the power of engagement and co-operation in the wider team that forms an entire business. 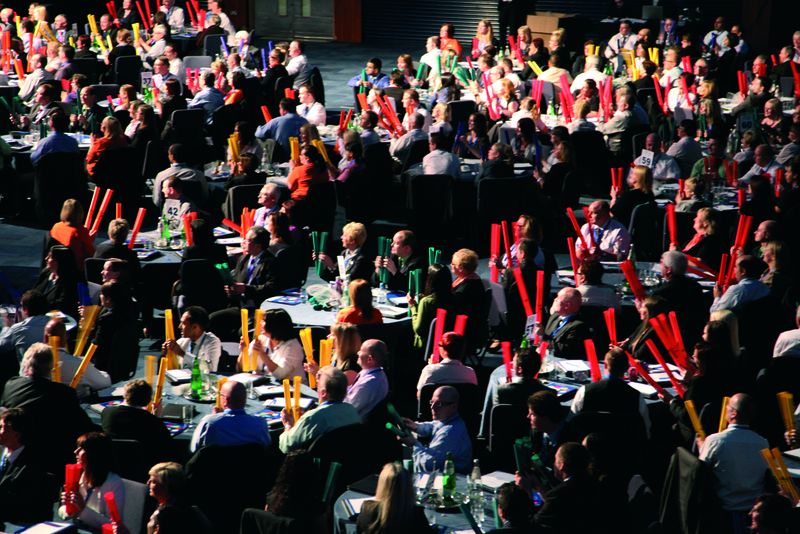 The activity fits in well with a conference layout Boomwhackers are light and easy to distribute and so offer the ideal ice breaker when there are time and logistical restraints. The activity can be applied in a theatre or cabaret seating format without the need to rearrange seating or require an additional activity room. It creates the Wow Factor! How does one make a conference stand out as special and different to all previous conferences? We think the Boomwhacker Ice Breaker offers the solution! At the heart of this activity is a strong sense of celebration, good will and group empathy which inspires and motivates those who take part. Music affects people on a deep emotional level and hence this activity offers that special part of a conference that everyone will remember. The Boomwhacker Ice Breaker doesn’t just provide a conference with a feel good factor – it creates the ‘wow’ factor!